Salt Block With Copper. 10kg. 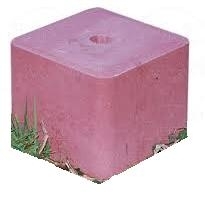 pk 2 Fully weatherproofed salt block complete with 12 month shelf life and central hole for convenient tying and hanging of product.